You have all seen my buddy, Dan Burke, in action tactually looking at pictures on this blog, but today he is going to learn how to draw an isometric cube. This clip is about two minutes long, highlighting a process that actually took about 20 minutes. 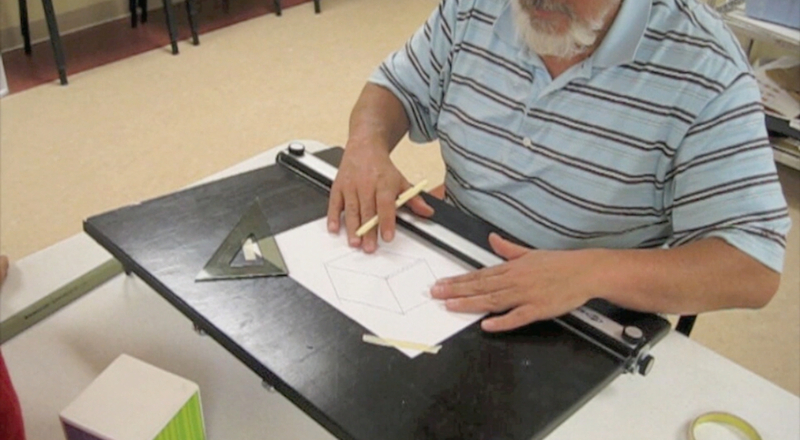 This is his first time using these tools and drawing this shape using this type of perspective. A Sensational DraftingBoard, 18″ x 24″ with an adjustable horizontal bar. The surface allows the drafts-person to draw on copy paper, tracing or polyester film. 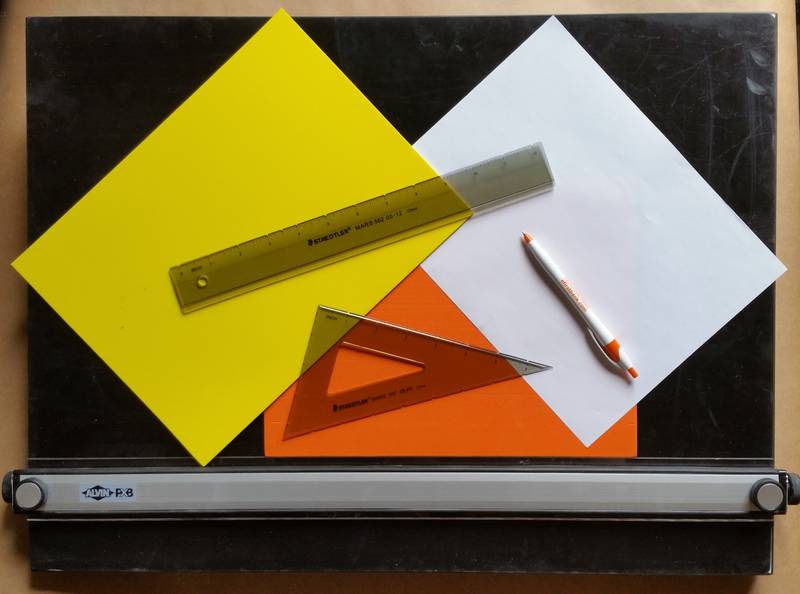 The tool he uses is a 30° 60° 90° plastic triangle notched at one inch increments. He also uses a medium ball point pen. We used copy paper for this drawing. It is evident that he quickly learns how to manipulate the tools and understands basic concepts underlying isometric perspective. It makes me happy that the techniques we used at the National Federation of the Blind EQ program last summer are going to be so easy to share with other students. And we had fun!